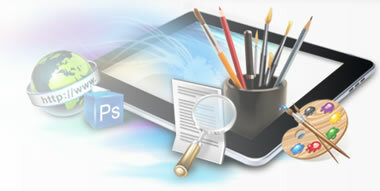 The Pickman Group has been providing cost effective Website Design & Internet Marketing Solutions since 1999. Increasingly, more and more businesses have found the need for a 'web presence' and TPG is able to provide Internet services covering every type of business outlet. A professionally built website is an extremely powerful marketing tool, enabling you to promote and market your business to an ever-increasing audience. Remember, a website has the ability to reach the largest audience possible, 24/7. We have the knowledge and strategies that can pinpoint key areas where you should be marketing your business operation to it's maximum potential. Over the past 19 years TPG has developed a close working relationship with all it's clients nearly all of which have been with us for many years and in some cases since we first began operating in 1999. We are not a faceless voice at the end of a phone, we meet our clients on a regular basis to ensure we're 'up to speed' with their business situation and strongly believe this is the only way we can fully understand and appreciate the clients needs. When required, we can offer expert advise and implement a variety of Internet based marketing strategies. Our policy has always been that if we offer a quality service, clients have no reason to look for an alternative provider. We would be happy to take your enquiry via email or discuss it over the phone. Alternatively we would prefer to visit you to gain a full understanding of what you're looking for. There is no obligation and our advice is free.